For the procedure, dissolve the sugar (or add simple syrup) in an old-fashioned glass, add bitters, add ice, add whisky and garnish. I was recently experimenting with a twist on this drink. When I have people taste Glen Thunder, I often hear “cornbread”. I happen to like jalapeños in my cornbread and that’s what got this whole thing rolling. 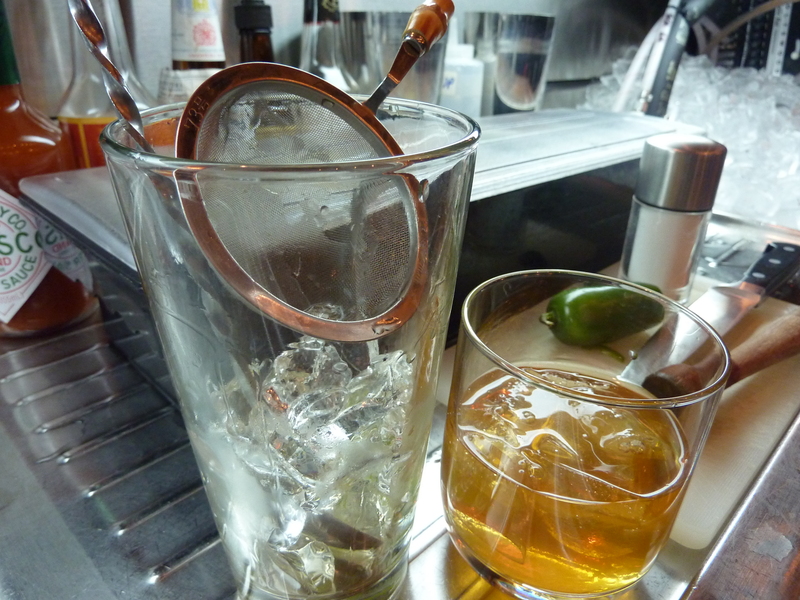 You see jalapeños in tequila drinks all the time – why not corn whiskey? I mentioned the idea to Seider at the Summit Bar and he made me an Old Fashioned with McKenzie Rye and Glen Thunder, spiked with jalapeños. I didn’t see exactly what he did, nor did I ask him proportions, but I attempted to recreate it a few days later. In a pint glass, I muddled 2 slices of jalapeños in simple syrup, added ice, 3 dashes Angostura bitters, 1 oz. McKenzie Rye, 1 oz. 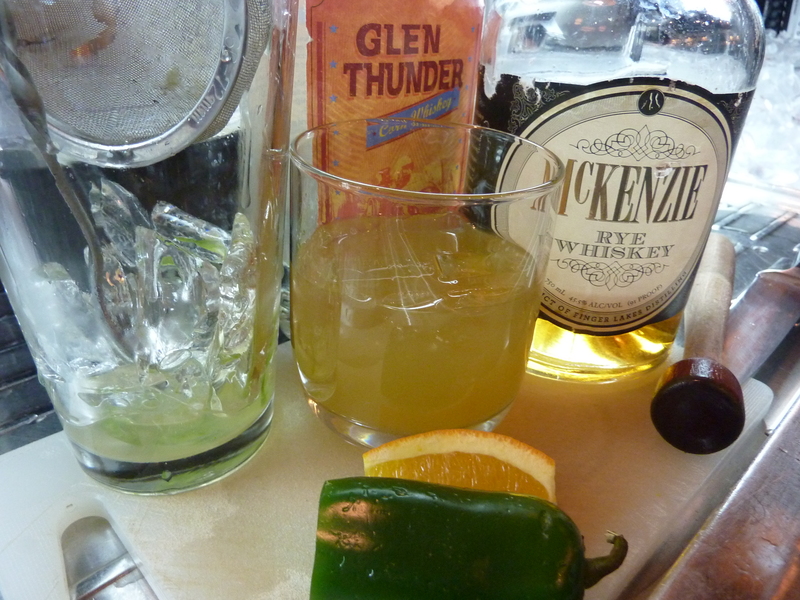 Glen Thunder, dash of salt and I stirred it and strained it into a rocks glass. I was happy with the result, though I was jealous of Seider’s perfectly square and gynormous ice cube. I gave it another try, thinking a little citrus might be nice. Same as above, with the addition of 1/4 oz. oj. Would be great to make this a completely clear drink. Nils? Dave?